boulder3m wrote: I remember well going down there however many years ago (six??) when we expected to roll over PC. It was hot as blue blazes and that game came down to the end with us winning by one score in a game as close as it sounds. They can be tough, and this will be the biggest game of their season. That might've been the hottest game I have ever been to. Or was it the year before at Charleston Southern? I think it's inadvisable to have home games (or any games in SC) when the sun is at its hottest (noon-3 or so). I understand why Wofford does it, because it's an easy Admissions/Alumni event. I think we should hold off on those kickoff times until mid October. I was sitting in the shade in the second half against GW and it was night and day from earlier. PC in 2011 was much worse. I, like most, have been disappointed in our overall play but I certainly do not hold the dismal view like some. Defense has played decent. Strong at times but trying to understand why we're not aggressive as the 2nd half of last year (hope it will come). Coach Wood is intelligent and has Ayers to lean on so we will continue to move toward being the defense we can be. I like the passing game that is developing but please run the option more! #8 needs more playing time! For the love of all things holy....get creative in the run game play calling. I really like the fact that we have struggled at the beginning of the season realizing our "poop does stink" because the preseason picks could've got to our egos. It is a huge plus to have the experience and ability to find a way to win when needed than to lose close games like we have in past years. I would much rather be 3-0 with 2 conference wins while playing less than our capability than playing much better with a loss or more. I share the same sentiment as Eyes - play PC regularly and even every year instead of JC Smith, UVA Wise, etc (not to put them down but PC is a rival and the others are not). And I too remember the game in 2011 when we were expected to beat them easily but it was a nail biter. Not only that but the very next game was the one where we played Clemson and lost by 8 points. EB was a senior and M. Allen was QB. Clemson had already determined the final score was 60 - 0 or something like that (before the game even started). So it was a big surprise that we gave them such a good game. Although not a surprise to MA and the Terriers. 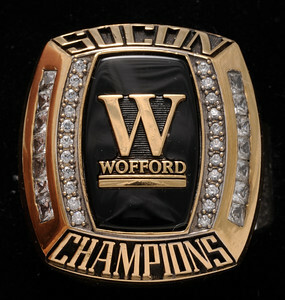 So big surprises have come from the Terriers and we can do it this season too - referring to WCU, Cit, Sammy and Chatt. It may look like right now that they will kill us but we can still correct our mistakes and get it done. GO TERRIERS !!!!!! Another thing is that the key is not beating PC. The key is playing like a well oiled machine with almost no penalties or turnovers and playing D like we played last year. If we do that then we will get the W. But if we play sloppy and still get a W, that is not good because sloppy play will catch up with you eventually. I do not mean to snub my nose at PC but if we play well we should get the W. But if we do not play well then... Bottom line is that we have to play well to get a W.
youngterrier wrote: I think it's inadvisable to have home games (or any games in SC) when the sun is at its hottest (noon-3 or so). I understand why Wofford does it, because it's an easy Admissions/Alumni event. I think we should hold off on those kickoff times until mid October. I was sitting in the shade in the second half against GW and it was night and day from earlier. PC in 2011 was much worse. Traditionally we played the first half of the season at night, and the last half in the day. The downside to this is that August and September night games are prone to thunderstorms and other bad rain. I sat through the entire Gardner-Webb mansoon game and most of the North Greenville twice delayed game. I'd rather play in the heat than have games extend into the early morning. North Greenville was willing to take their check when the lights went out. For a contested conference game, that would have been just another delay. In the past, I have been somewhat pessimistic about our chances after a game when we clearly didn't play our best. This year, even after three less than spectacular performances, I'm still really excited and optimistic about the season. For some reason, I think this group will rise to the occasion like they did against Mercer. To get to where we want to go is a long, hard road. We need to stay healthy, find some offense (i.e. keep passing the ball effectively and get the true option working like a well oiled machine) and have the defense find their rhythm and play lights out like last year. We have been very fortunate thus far to be 3-0 but it really sets us up nicely if we continue to improve and peak towards the end of the season. If you look around college football there have been many teams that have not played to their potential yet and some have lost a game or two because of it. Let's be thankful we have not had that happen and hope we can continue to get better! Coach says we got better this week. I choose to believe him. I definitely think we haven't see the best this team has to offer. By my count we have averaged about 2 quarters playing like we should. If we keep getting better each week, we will be fine. We are fortunate to be 3-0, but on the same token we are 3-0 for a reason: we have made "1 more play" than our opponents. Good teams find ways to win close games, and games in which we didn't play our best. While as a fan it's frustrating to watch, know that when we tune into the game Saturday we will be viewing the 3-0 Wofford Terriers. It's kinda like the old baseball analogy. Whether it was a little blooper over the infielder's head or a line drive off the wall, it still shows as a single in the box score. Looking back at last year, The Citadel should have been 5-3 (or 6-2 at best) in conference and we should have been conference champs. But, the Citadel always found a way to win and ended up running the table. So far, we have found a way to win every game. But, I would really like a dominating victory every now and then.